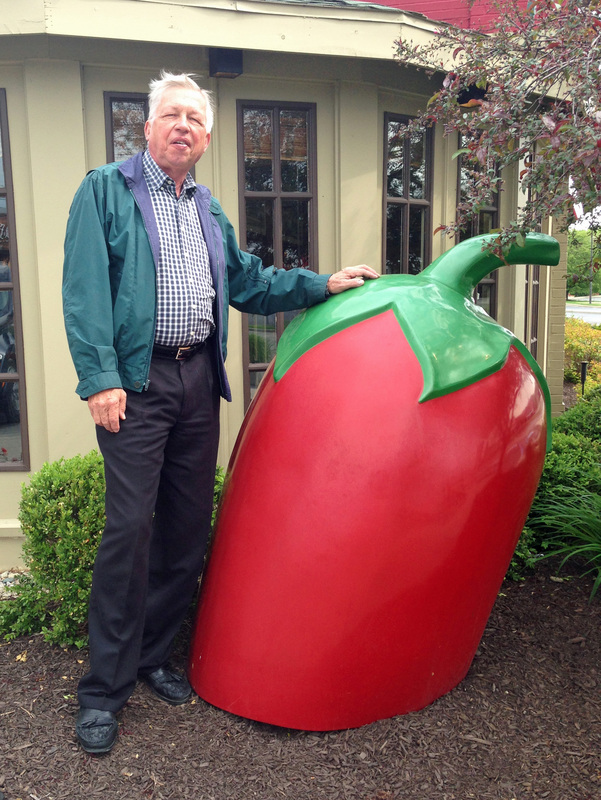 86th Street Chili’s – The Home of My "Big Things"
We were running out of time to get this photo. The house was sold, we were finalizing the move and knew about this chili out in front of Chili’s on 86th Street in Indianapolis. Most Chili’s restaurants have this up high over the door. Had to grab this before leaving town.